What is your favorite comfort winter food? My favorite meals during the cold winter months are spicy, warm and hearty dishes. Stews, chilis, soups, jambalaya are among my go to meals during this time of the year. There is just something about them that feels homey, tasty, and is enough to feed an army. Okay, maybe not an army but we enjoy the leftovers the next day for lunch or supper, and sometimes I freeze the leftovers for days when I don’t have time to cook. This recipe easily serves 10 – 12 depending on the appetites you’ve got sitting around your dinner table. That’s what I love about large one pot meals like this one is that you cook once, and you have food for several days. Win, win! Last week, we had a snow day and I thought it was the perfect time to make jambalaya. It’s a traditional Southern food from Louisiana that is full of flavor and will make you forget that it’s cold and snowy outside. I am so ready for this cold weather to go away though. It’s already March and I m hoping that it will start to warm up soon. 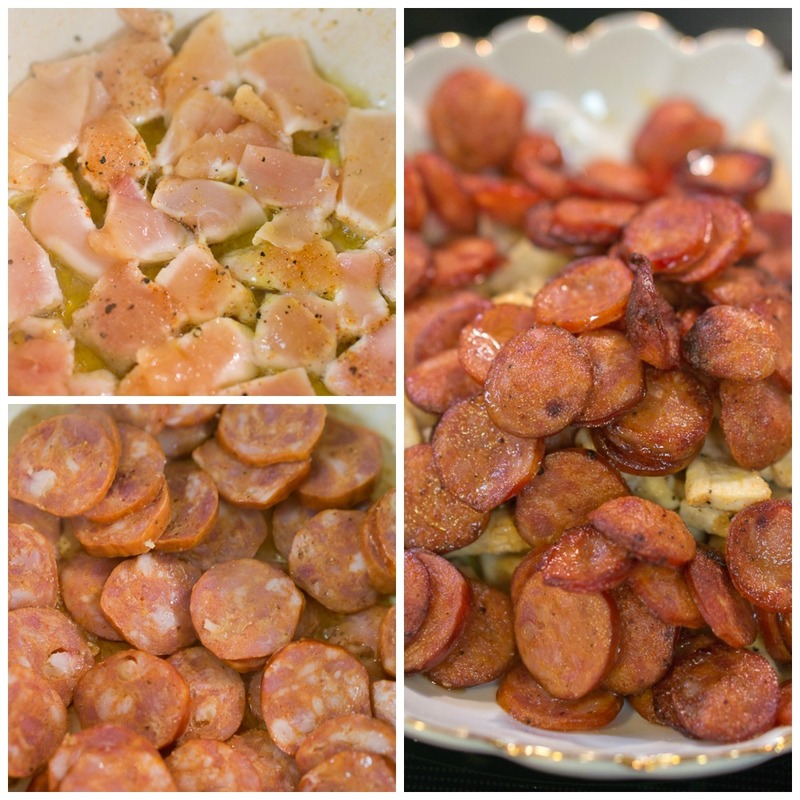 So here is the recipe for my favorite Jambalaya. 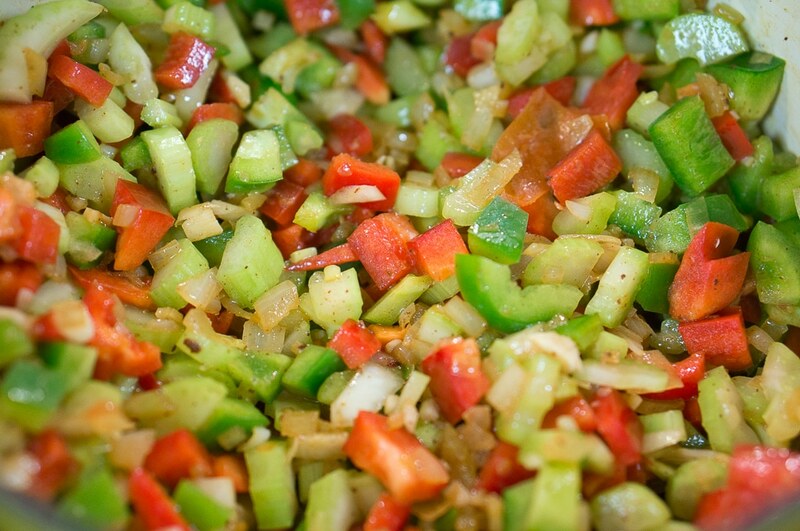 Chop the onions, peppers, tomato, and celery. Just look at this beautiful rainbow of colors! 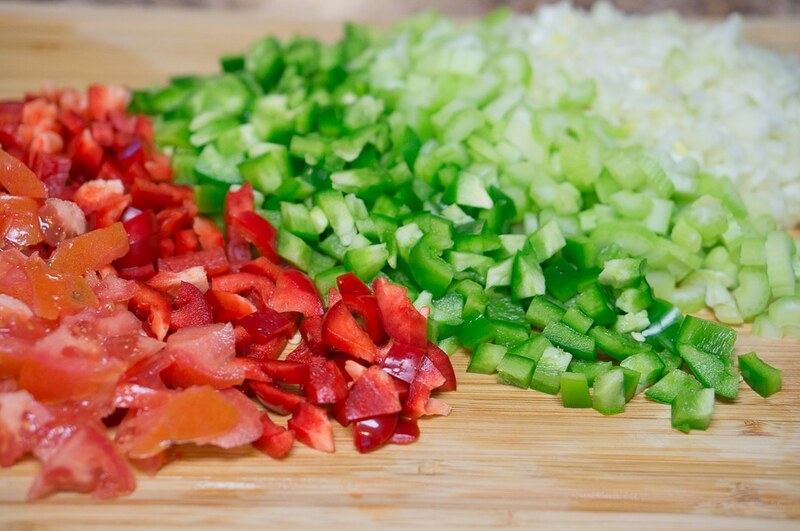 My favorite basic ingredients for cooking – onions, garlic, peppers, celery, and tomato. 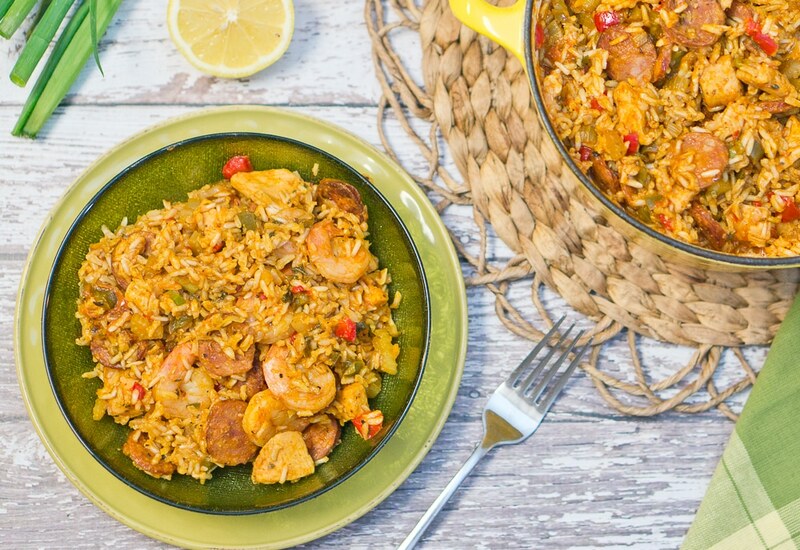 This Jambalaya is certainly loaded with healthy and nutritious ingredients. Heat 1 Tbsp olive oil in a Dutch oven or a large pot. Brush chicken with olive oil, season with salt, black pepper, garlic powder, onion powder, and a dash of cayenne pepper. Place chicken pieces in the pot and brown chicken on all sides, working in batches, you don’t want to overcrowd the pot. You don’t have to cook it all the way through as it will be cooked later on. Transfer chicken to a plate. Add the sausage to the same pot and saute for about 6 minutes until browned. Transfer to the plate along with the chicken. Add another 1 Tbsp olive oil to the pot. Add the onion and garlic and saute for about 3-4 minutes until the onion is translucent. 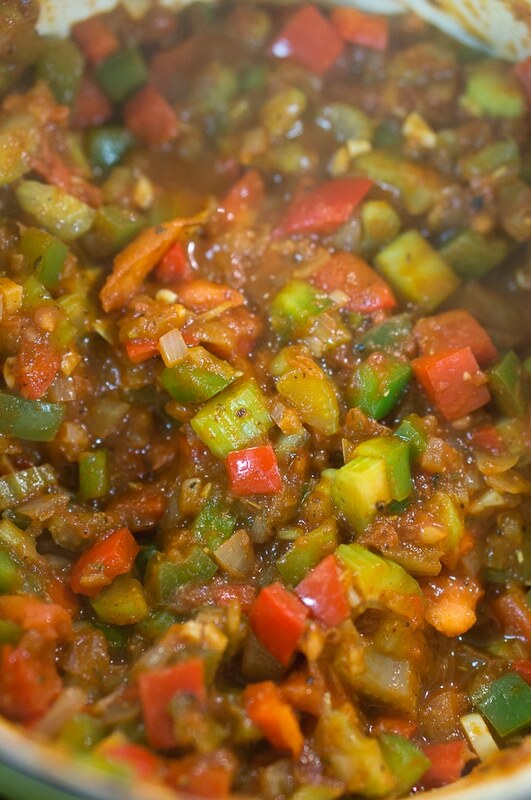 Add celery, green & red peppers to the same pot and saute for 5-7 minutes longer. Add the tomato, tomato paste, and the herbs (1 tsp garlic powder, 1 tsp onion powder, 1/2 tsp cayenne pepper, 1 tsp thyme, 1 tsp oregano, 3 bay leaves, and about 2 tsp salt & 1 tsp black pepper). Mix well and cook until all the vegetables and herbs are incorporated. Add the Worchester sauce, Sriracha sauce, chicken stock and bring to a boil. Add the uncooked rice, chicken, and sausage to the pot. Return to a boil, and reduce the heat to low to simmer, covered, for about 30 minutes. Add the green onions, parsley, lemon juice and shrimp and simmer, covered, for another 10-15 minutes. Serve and garnish with more parsley or green onions. Enjoy! 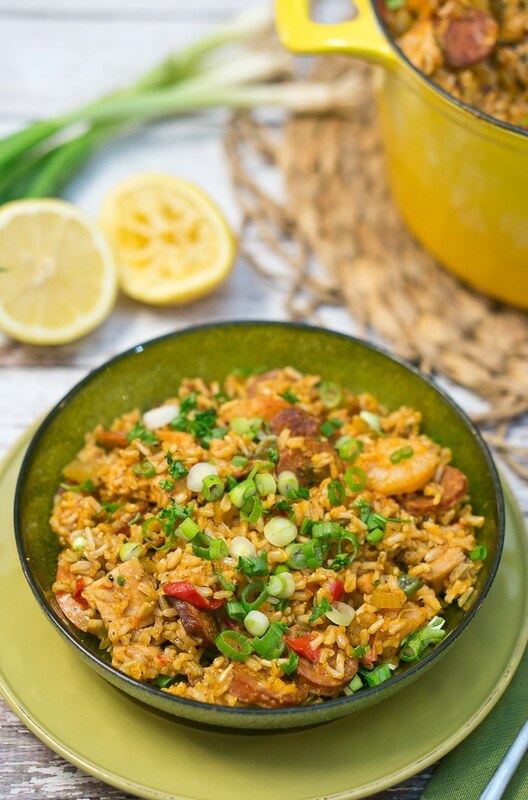 This Jambalaya has a nice spicy flavor, but not too much that you can’t eat it. My husband loves spicy food and he even adds a dash of Sriracha to his bowl. It is so filling and full of flavor, I can probably eat it every week. 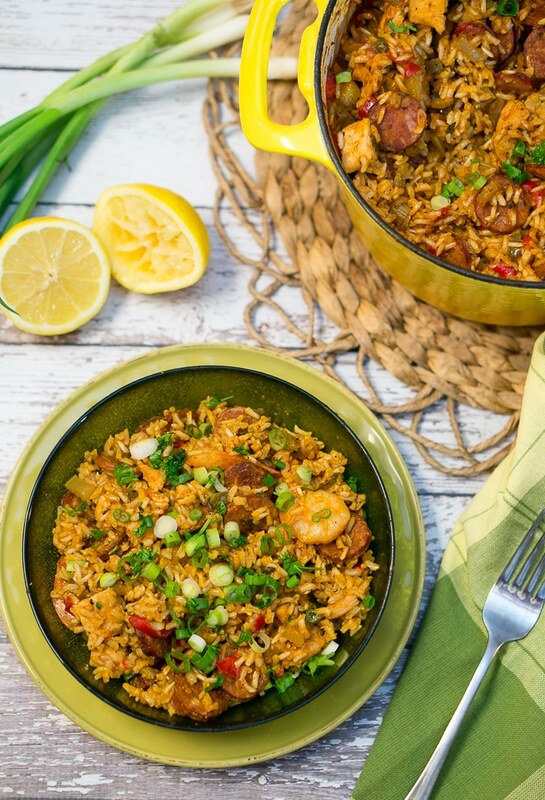 Hope you give this colorful Jambalaya recipe a try. I would love to hear from you how you like it! 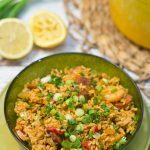 This jambalaya recipe is so flavorful and delicious. Classic Louisiana meal - hearty and filling. Recipe and step by step photos included. Heat 1 Tbsp olive oil in a Dutch oven or large pot. Brush chicken with olive oil, season with salt, black pepper, garlic powder, onion powder, and a dash of cayenne pepper. Place chicken in the pot and brown chicken on all sides, working in batches, you don't want to overcrowd the pot. You don't have to cook it all the way through as it will be cooked later on. Transfer chicken to a plate. Add the sausage to the same pot and saute for about 6 minutes until browned. Transfer to the plate along with the chicken. Add the green onions, parsley, lemon juice and shrimp and simmer, covered, for another 15 minutes. Garnish with more parsley or green onions. Enjoy! 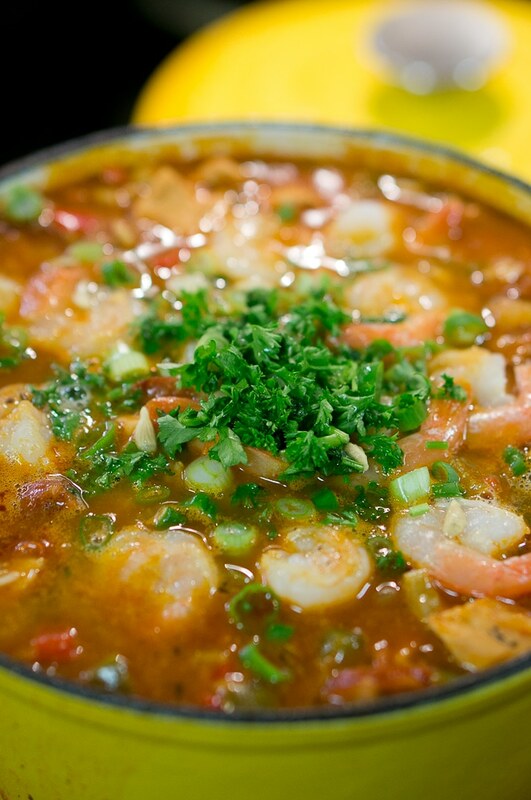 When it comes to southern food, Jambalaya and Gumbo are my favorite comfort foods. I have created vegetarian versions of both and then I treat myself to them whenever I can. I love jambalya! I actually love anything that you throw a bunch of stuff into and out comes dinner 🙂 Great job. Thanks, Ashley! Those are my favorite meals too. 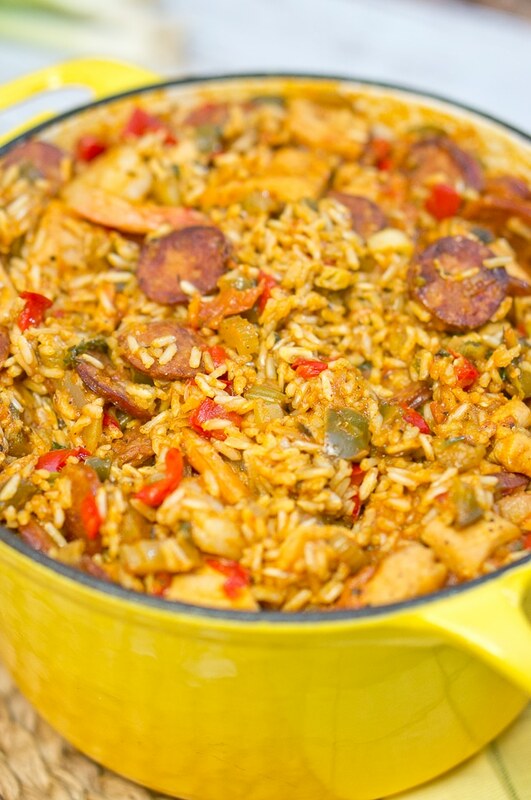 This looks like the perfect jambalaya! 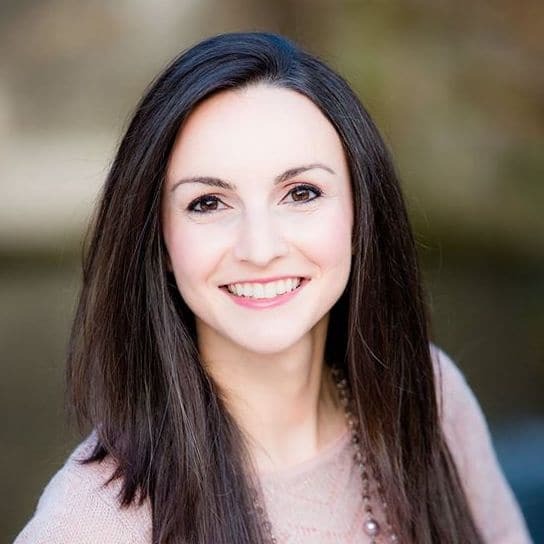 Thanks for stopping by Lauren and for your kind words! I love to cook but I’ve never made Jambalaya. I’m so excited to try this recipe! Thanks for the great post! Awesome! I m sure you will love it! It has so much flavor! All my favorite comfort foods have always contained rice. Rice is an essential part of comfort food. Your recipe contains all the delicious comfort food ingredients. What a great recipe! I love making jambalaya! Normally I make mine so spicy I’m just about the only one who will eat it…haha. Ha, I like my jambalaya spicy too. 🙂 Thankfully my husband loves spicy food too, so that’s not a problem. But our families not so much, I always have to be careful when I cook for them. I grew up in New Orleans and jambalaya is one of my favorite foods from back home. For some reason, I haven’t made it in years. You’ve inspired me, now I can’t wait to try your recipe. Thank you!